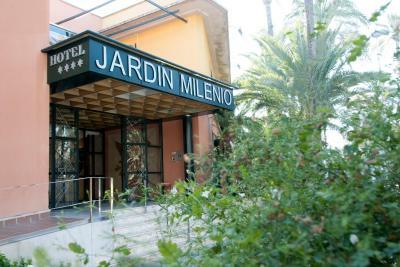 Lock in a great price for Jardín Milenio – rated 8.7 by recent guests! The breakfast varied. The location of the hotel was excellent, at a short walking distance of the city centre and on the other hand near the palm groves. There was a parking place for the hotel guests on the premises (for a separate but reasonable fee). Location, breakfast hall was well designed. Staff were freindly. 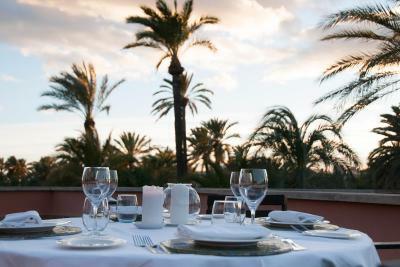 Wonderful location in the UNESCO-listed palm grove. Half-board is good value for money. Check in was excellent, friendly and helpful. The room was spacious, nicely decorated and had a huge bed. Bathroom was perfect. 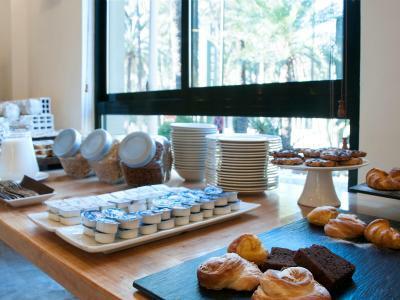 Nice room, good breakfast, lovely location among the palms, on-site parking (which you have to pay extra for), peaceful even thought you can walk to the town centre in a few minutes. Large room with seating area and view of the gardens. Extremely large and comfy bed friendly and helpful staff. For our journey from Southern Spain to England it is close to the motorway, has an excellent on site restaurant and safe car parking. Jardín Milenio This rating is a reflection of how the property compares to the industry standard when it comes to price, facilities and services available. It's based on a self-evaluation by the property. Use this rating to help choose your stay! 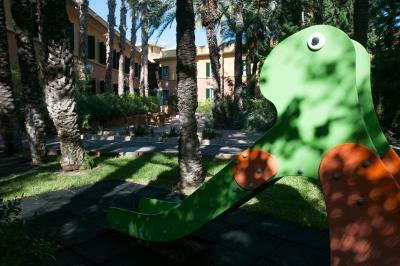 One of our top picks in Elche.The Jardín Milenio has a swimming pool and sauna within Elche’s amazing Palmeral. This tropical garden is a UNESCO World Heritage Site. 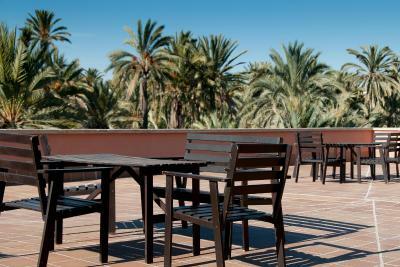 This hotel has a quiet setting just a short walk from Elche city center. The hotel is built around an attractive courtyard. 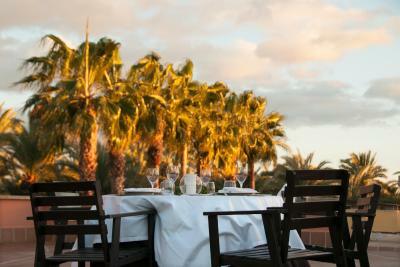 The whole hotel overlooks the patio, the Palmeral or the swimming pool. A fitness room and playground are also available. 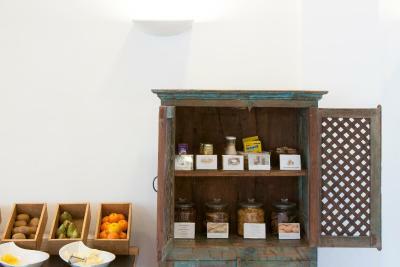 The hotel features Bar del Mileno where breakfast, half-board and full-board meals are served. 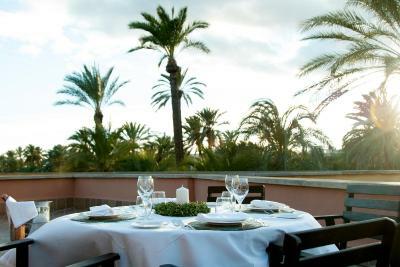 The La Taula del Milenio Restaurant offers a là carte dishes. 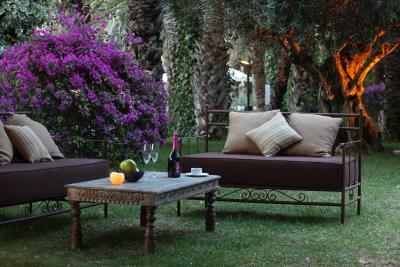 These can be enjoyed indoors or outside on the terrace. 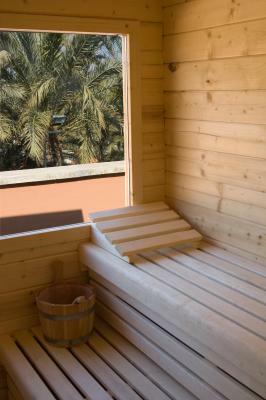 All bedrooms are en suite and come with full air conditioning and heating. There are also modern meeting rooms with great views of the gardens. 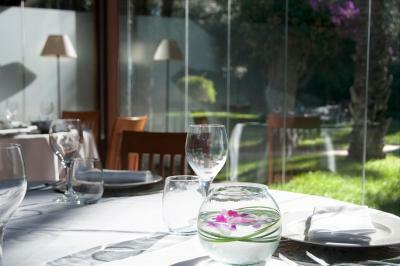 When would you like to stay at Jardín Milenio? 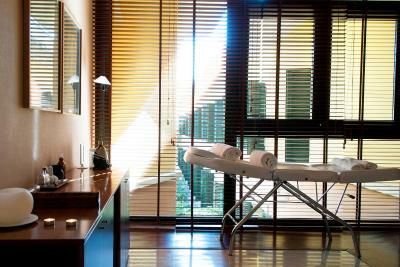 This air-conditioned room offers a mini-bar, a TV and a private bathroom with free toiletries and a hairdryer. 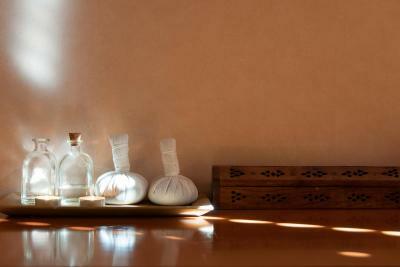 Private parking is available on site (reservation is not needed) and costs EUR 6.50 per day. Extra beds are not available in this room. This double room has a mini-bar, air conditioning and garden view. 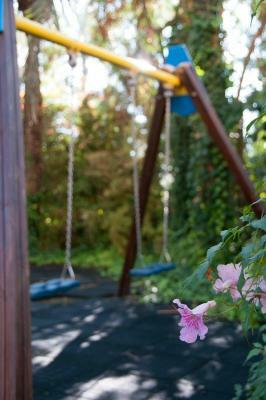 House Rules Jardín Milenio takes special requests – add in the next step! Free! One child under 12 years stays free of charge in an extra bed. Jardín Milenio accepts these cards and reserves the right to temporarily hold an amount prior to arrival. Please note that this property is located approximately 500 feet north of the intersection of Carrer de Curtidores and Carrer Mariano Soler Olmos. 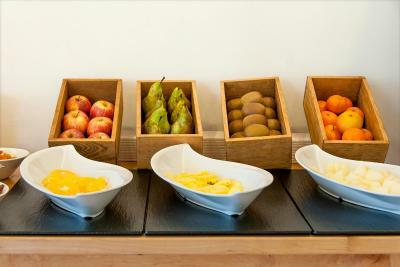 Please note that meals for half-board and full-board rates are served in the café-bar, not the restaurant. Drinks are not included in the rate. Shower in bath tube, due to Eastern no laundry services. Had a sneezing tissue in between the towels. Some of the public spaces are shabby and old fashioned.